This page is for Enots vehicle car jacks. Anyone who has any information about the jacks shown, the manufacturer and the vehicles that used them please contact me. 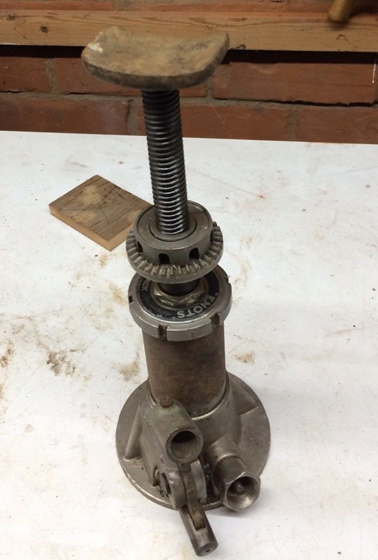 Cast ENOTS HYDRAULIC JACK. Believed to be cast in brass with a coating on top. 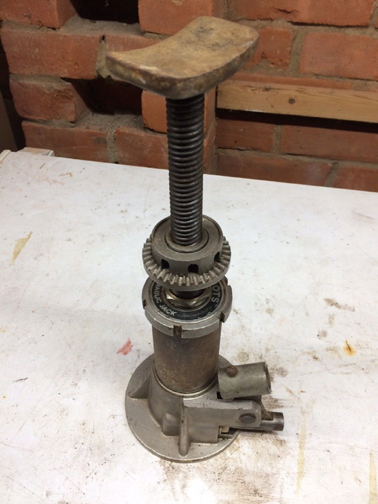 Only other details as shown in the photos, although it would appear to be a single hydraulic ram with a manual screw extension. 2 Ton capacity. Height range 7 1/2" to 16 1/8". Hydraulic piston extension is 4 3/4". One version has come to my attention with a number of stampings. 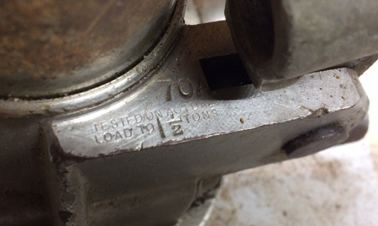 On the pumping moulding is stamped TESTED ON ACTUAL 1 1/2 71A and on the base J.H.B in one segment and in another J.S.KAYES & SONS. HULL. Understood to be for Bentley 3L, 4.5L, 6L and 4.5L supercharged vehicles. However, the jack is advertised in the Light Car and Cyclecar magazine, suggesting that this jack may not be suitable for these heavy cars. Last 4 photos show a single bar (or is joint indistinguishable in photo?) or 2 bars with groove in one end to accept spring loaded locking pin. The whole lot (handles and jack) are contained in a bag. 1928 - 'The Light Car and Cyclecar' 30 March 1928. Same as the jack immediately above but with a geared extension and rated at 1.5 tons. Understood to be for Bentley 3L, 4.5L, 6L and 4.5L supercharged vehicles. 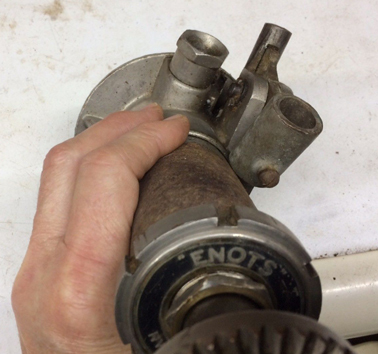 Bar with bevelled gear and locating pin on the end to enable quick adjustment of the manual winder by rotating the bar. 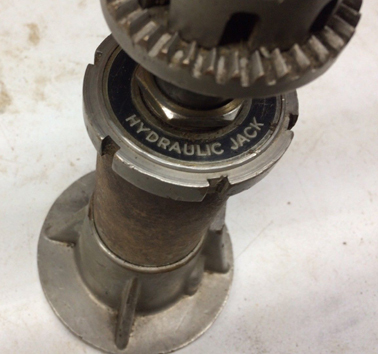 Hydraulic jack with a manual screw extension. 63/4" closed; 12.5" extended. Other details as shown in the photos. Probably supplied with some Bentleys.